A group of Jewish students in the UK have lined up with their Palestinian peers to support a boycott of Israel, in protest against Israeli policy in Gaza and the West Bank. 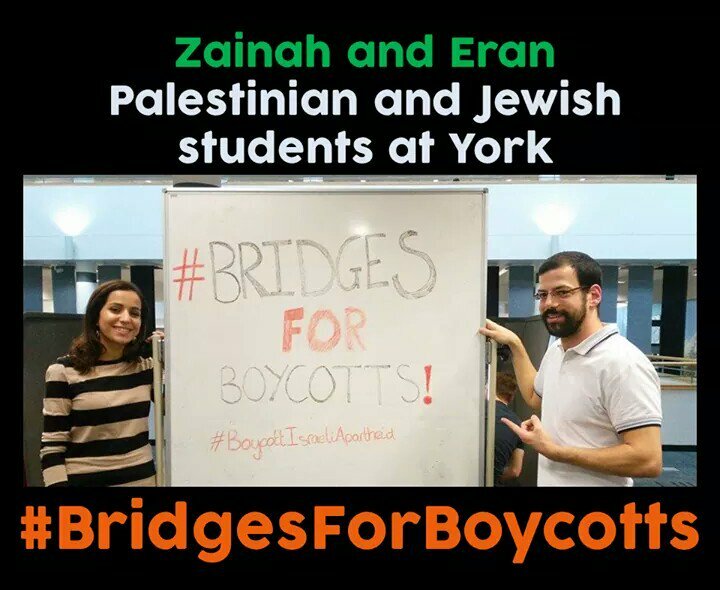 A dozen Jewish students have signed up to the #BridgesForBoycotts campaign, in response to the #BridgesNotBoycotts initiative begun by the Union of Jewish Students last month, which aims to counter Israeli Apartheid Week. 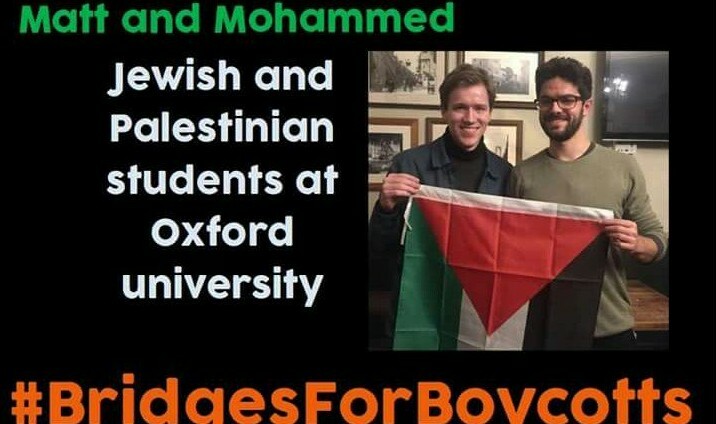 Holding signs declaring their support for boycotts of Israel were Jewish students from campuses such as Oxford and Glasgow, in a move organisers said would “support justice and dignity for Palestinians”. 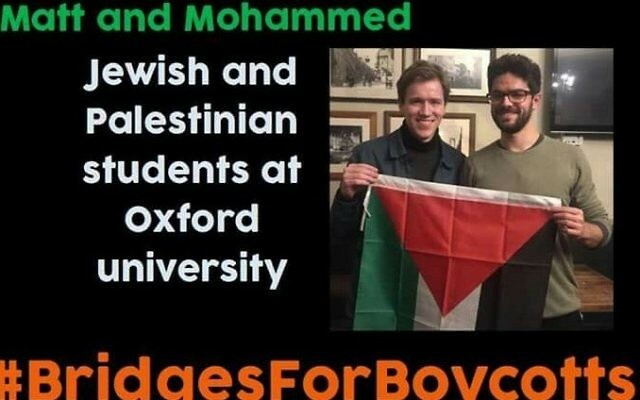 The action was co-ordinated by new Jewish student group Jewdents, which includes the campaign team for York University student Eran Cohen, a pro-boycott candidate who ran unsuccessfully for UJS president last year. Jewdents also grew out of Jewdas, which describes its views as “radical” and “alternative”. The spokeswoman said their pro-boycott campaign “is voicing what many centre-left Jews think but are too scared to do, that boycotts are an effective means for ending the occupation and the apartheid regime”.